When it comes to highly infectious canine viral infections, it's important nto ever make assumptions regarding safety. Dogs young and old potentially can contract canine parvovirus, even if they don't leave their homes and backyards. Parvovirus is a serious matter, and ignored cases of it can sometimes end dogs' lives. Canine parvovirus is a condition that in most cases wreaks havoc on dogs' digestive tracts, but that also occasionally targets the heart muscle. Although the disease cannot pass to felines or human beings, it can spread between dogs extremely readily. One easy way to shield dogs against contracting the virus, however, is through vaccinations, starting during the puppy stage. Parvovirus is often deadly to young puppies, although mature canines often can contract -- and eliminate -- the virus without a hint of a problem. Talk to your vet about parvo vaccinations for your pet, immediately. Parvovirus is spread through the stool matter of dogs who have the condition. A dog doesn't necessarily have to meet another to pass it on. If you rearrange the flowers in your garden, you could unknowingly pass parvo onto the pooch inside your home. If your neighbor's dog has parvovirus and eliminated on your lawn, a little remnant of the infected bowel movements getting on your hands could be all that it takes. If you have a dog or puppy who has a penchant for licking on your hands, he could contract the virus "just like that," without going outdoors. One of the most menacing things about parvo is how strong and long-lasting it is. The virus is capable of lingering in an area or on an item for a lengthy stretch of time -- even months. If a child in your home collects rocks as a hobby and unwittingly brings an infected one inside to your dog, it could lead to the transmission of parvo. A dog could have defecated by the rock weeks and weeks ago, but parvovirus is persistent. Transmission of parvovirus in a dog who never leaves home can be pretty straightforward. If your friend stopped by your home for a visit and just happened to bring her dog for a play session with your little guy, the virus could spread from the infected party to your pet, through the feet and coat. 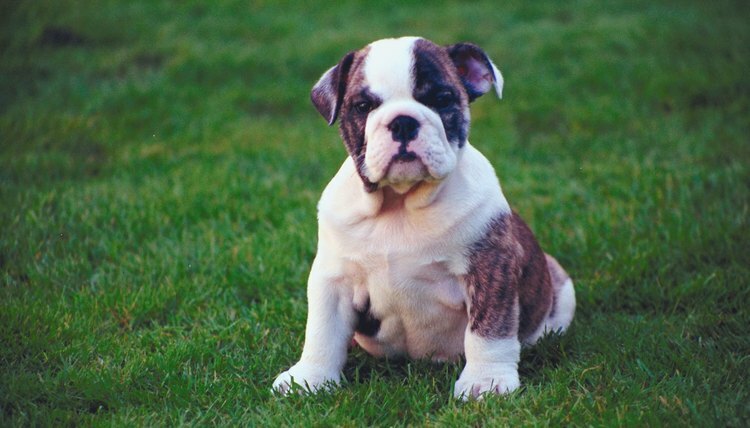 Although clues of parvo rarely emerge in mature canines, they're common in puppies. Be on the lookout for symptoms such as throwing up, diarrhea, absence of appetite, breathing problems, feebleness, fatigue, depression, fever and blood in the bowel movements. Excessively dark bowel movements also sometimes signify parvo. Seek urgent veterinary care for any dog who exhibits any of those indications. Veterinary management is a must for infected dogs.